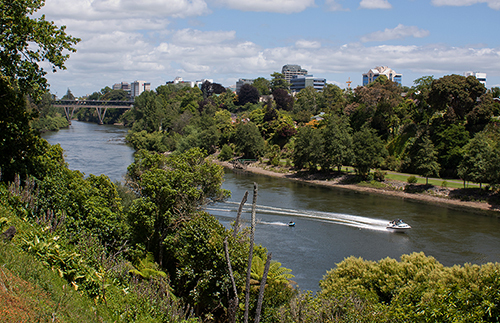 We’re seeking a Clinical Radiologist and Nuclear Medicine Specialist (dual scope) to work in one of the largest District Health Board’s in NZ, a bustling University city in Hamilton, just 90 minutes’ drive from Auckland. You will have skills and experience in both Clinical Radiology and Nuclear Medicine along with a sound understanding of contemporary models of care; proven leadership skills and experience working in a multidisciplinary team environment; an interest in medical education and teaching, including providing supervision and education to medical students, registrars and other clinical staff; and of course, a commitment and willingness to be involved in ongoing quality improvement programmes within the service. This is an excellent opportunity for both newly qualified Radiologists and Nuclear Medicine Physicians to commence practice in a supportive environment, or for the more experienced, it's an opportunity to further develop your career in a busy unit with a diverse caseload. When sending your CV, please include details of modalities you use on a day to day basis. Waikato District Health Board (WDHB) is one of the largest DHBs in New Zealand, both geographically and in terms of population (Hamilton: 200,000; Waikato region 390,000), and is one of five tertiary teaching centres in NZ. The existing team of 20 Consultant Radiologists and 9 Registrars have well established links into all of the specialty and subspecialty clinical teams across the DHB. The Department also provides imaging support for a Level 1 Major Trauma Centre. The service also provides Radiologists in support of the Breast Care service. Waikato is also one of 5 District Health Boards which form the Midland DHBs network across the central North Island, which also includes the Lakes (Rotorua & Taupo), Taranaki (New Plymouth & Hawera), Bay of Plenty (Tauranga & Whakatane) and Tairawhiti (Gisborne) regions. Together they serve a total population of more than 854,000 and there is increasing collaborative working and service planning across the network. As one of New Zealand’s fastest growing areas, key to this growth is its central location and easy access to other parts of the country. Auckland City is only a 90 minute drive away and both the west coast and east coast beaches are within easy reach, including Mount Maunganui (voted New Zealand’s best beach in 2018 *Trip Adviser NZ), the stunning Coromandel Peninsula, and Raglan Beach, with its rugged coastline and some of the best surf breaks NZ has to offer. As a university city, there is a diverse mix of arts and culture, as well as an array of sporting activities. The population is diverse, with many cultures represented and celebrated here. Events and festivals throughout the year include Diwali, Matariki (Maori New Year), Garden shows, regular Farmers Markets, Theatre shows and music festivals, major sporting events and tournaments. There is an array of restaurants and cafes featuring locally sourced products, a vibrant nightlife, vineyards, and wide open spaces for you to enjoy the great outdoors. Housing is affordable whether you like the idea of an urban apartment, a townhouse with a garden, or a sprawling lifestyle block just outside of the city. There is also a wide variety of schooling options to suit your family needs. Ideally you will hold FRANZCR and FRACP, along with full Vocational registration with the Medical Council of New Zealand (MCNZ). Alternatively, if not NZ trained or based, you will hold equivalent specialist qualifications from either UK, Ireland, Australia, Canada or USA that will enable Provisional Vocational (long term) registration or Locum Tenens (short term up to 12 months) registration. These are the specialist pathways for medical registration in NZ and we can assist with medical registration and work visa applications, if you are successfully appointed. A further registration may be applicable if you are an overseas trained specialist with at least 33 months (out of the last 48 months) specialist/ consultant level experience from a country considered to have a comparable health system by The Medical Council of New Zealand. For more details, please contact Caroline at caroline@headmedical.com with a copy of your CV. Please note, Caroline is based in Wellington, New Zealand.